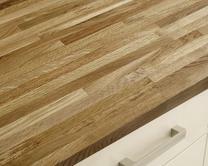 Whatever type of kitchen you have a solid wood worktop brings it to live, whether you have a traditional style or something more modern. 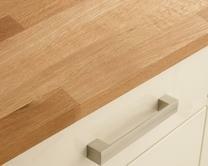 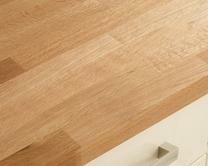 Our solid wood worktops add warmth and character to a kitchen. 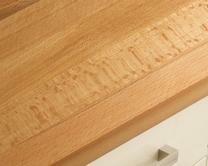 They are available in 27mm & 40mm, and are suitable for use with any sink and can be profiled or grooved to create intricate detailing.